This is the best backup software I have found. Tried a lot of them, but I needed auto backup and the ability to navigate the files as a mirror image of the original. This ticks the box and is fast too. Over the past few years storage devices have become more advanced and reliable, but the risk of failure still persists. And, these device may suffer a hardware failure at anytime, making you suffer with loss of your important data. Backing up your data and information is necessary for many reasons. It could be an attacker crashing your computer’s operating system or data may be corrupted or wiped out by a hardware problem. O&O AutoBackup 6 Pro is a simple and reliable backup software application, designed to make the backup process easier for all types of users, even the novices. It performs the backup process automatically based on the schedule and preferences selected by the user. The installer size is ~12MB and the installation process is simple and straightforward, taking only a few minutes to finish. At the end of the installation process, you are asked to register with your license information or you can continue using the trial for 30 days. After the program launches, you can straightaway click the ‘+’ button to create a new backup job. The UI looks very neat and clean as there’s not much too it. There are 4 buttons on the top right, namely ‘Help’, ‘Settings’, ‘Live Update’, and ‘About’. Pressing the Settings button, you see only three settings and there’s not much to it at all. There’s a ‘+’ button below, which allows you to add new backup tasks, and all the backup tasks are displayed down here next to it. This tool has been designed with all users in mind, the backup process is easy and simple, and can be performed by all users even the novices. Click the ‘+’ button, you can see 6 buttons on the side, namely ‘What’, ‘Where’, ‘How’, ‘When’, ‘Advanced’, and ,’History’. The backup task can be created easily just by answering the 4 questions, ‘What to backup?’, ‘Where to backup?’, ‘How to backup?’, and ‘When to backup?’. Once done with these 4 things, the backup task is ready, but if you’re an advanced user you can visit and tweak around with advanced settings. The application offers three different backup processing modes, namely Archive mode, Insert mode, and Synchronize mode. Archive mode archives your files by copying them to separate subfolders in format ‘year-month-date’. Insert mode transfers new documents and folders to backup without deleting any data, whereas, the Synchronize mode syncs folders and files, and can delete and overwrite files too. The tool is solely built to backup files, and does not come with any options to restore the backup in case of loss or deletion. Missing restore option, pretty much makes it a useless application for a user like me, as I would not want to spend money on a software which is not gonna help me restore my files when I need them back. The backup speeds were average compared to the other tools that I used. The speeds are not too slow, but they are definitely nothing near other backup softwares. 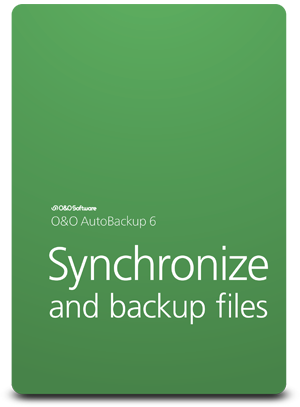 O&O AutoBackup 6 Pro is a simple and easy-to-use backup solution for all types of users. It’s simplicity and ease-of-use are definitely the biggest reason I would recommend it to anyone. Missing a restore option, and a few other features like compression is a deal breaker for me. But for a regular user with no experience with backup tools, and those just looking for a simple backup solution it is definitely worth trying. Supports Windows Vista, 7, 8/8.1, and 10 (32-bit and 64-bit).